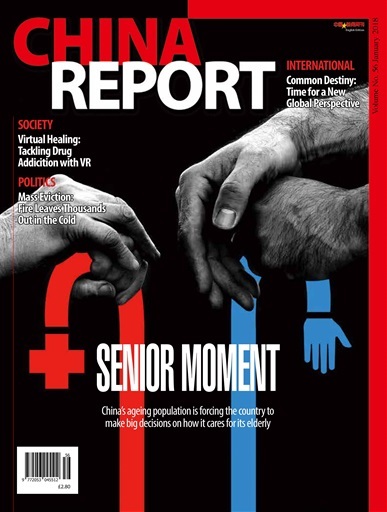 As the New Year is welcomed in, more people in China have gone older. What is the future of the care sector for the elderly and how is the system working to provide people a better quality of life? (P.16-29) Taxing times – all about the new US tax reform bill and its potential impact on Chinese business (P.10-12). Teaching English to the masses, a fast growth sector with a lack of teachers and where online education is just starting… (P.38-40). Legendary John Woo is back with Manhunt. The award-winning director talks about the movie, his career and what he will be up to next (P.50-52).